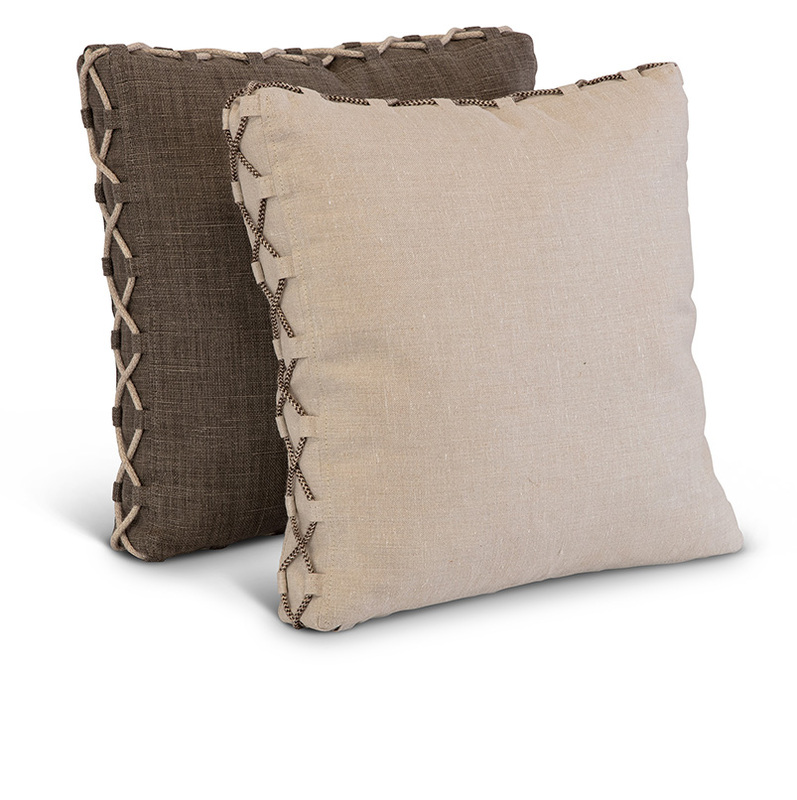 Inspired by fashion, our Madera Collection pillows are uniquely detailed. 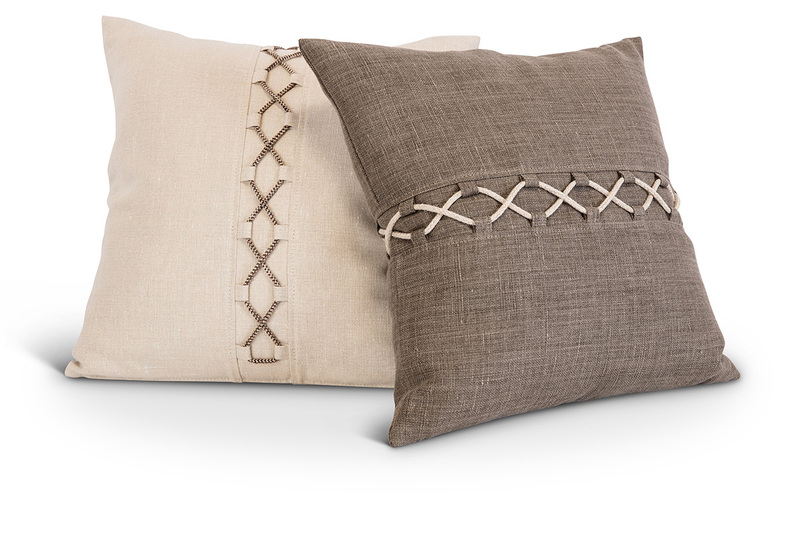 This exceptional collection incorporates textures of leather and linen entwined with natural braid. Select boxed edge encircled with braid or knife edge with center braid flowing front to back (vertically or horizontally).